A picture book designed to be read to adopted children of gay parents. The child is adopted by two fathers. The opening comments are about the author's own philosophy of children, that all children begin in the heart of their parents however they come to be a part of a family. 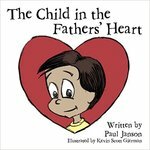 Janson, Paul, "The Child in the Fathers' Hearts: A Story of Adoption" (2012). DIVerse Families. 339.